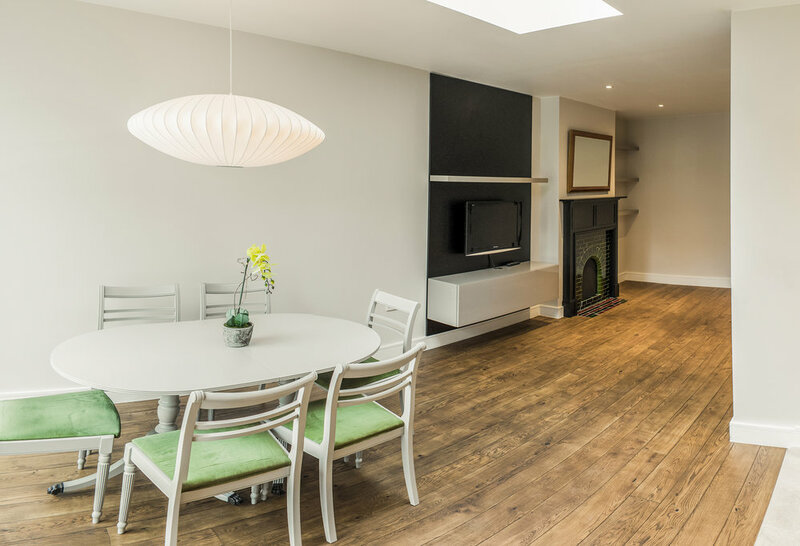 Two-storey side extension, loft extension and complete refurbishment to create a six-bedroom, six-bathroom property in west London. This 40-week long project also included kitchens, wardrobes and landscaping of the garden. The property consists of three self-contained flats and three ensuite double bedrooms with shared living space, creating the ideal HMO development.